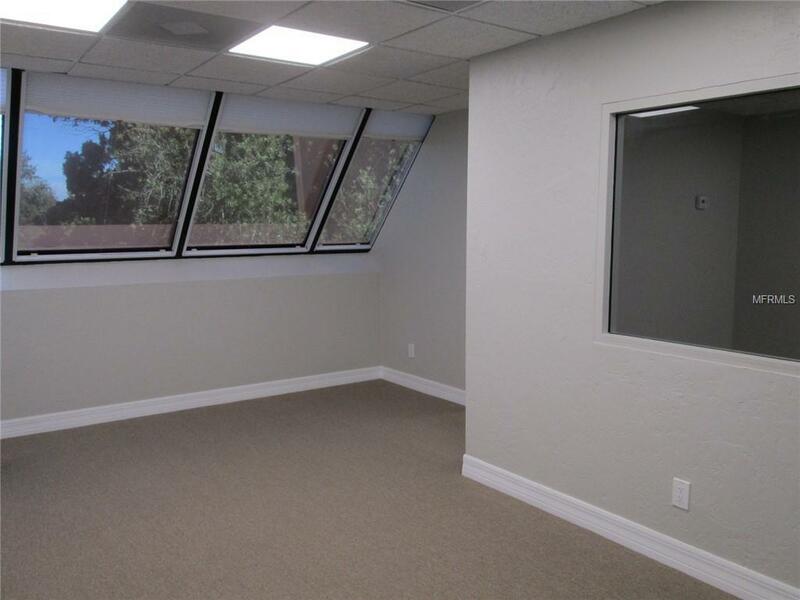 Crosswinds Office Condo- This professional office condo is 646 square feet and features 2 private offices with one large office/reception area. There is one full bath with a shower and one half bath. Bathrooms and interior of the unit has been updated. 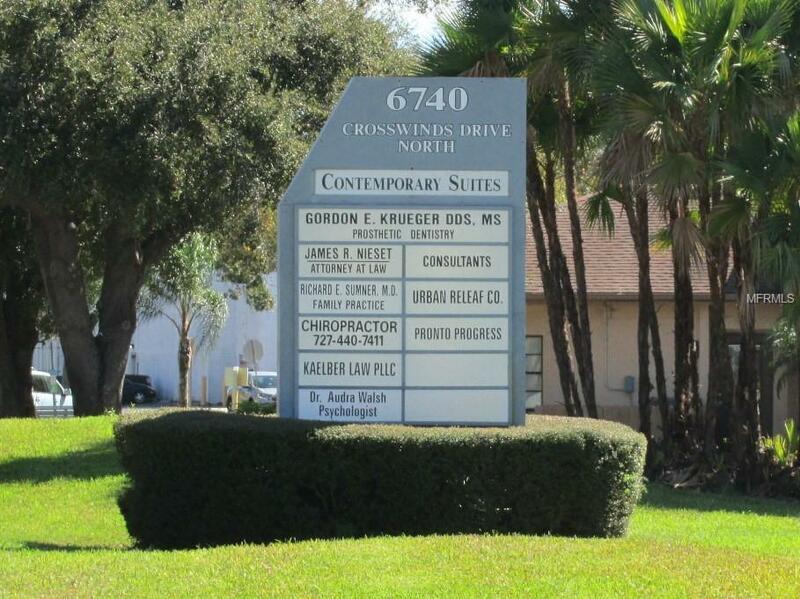 This unit is located on the 2nd floor of a well maintained Office condo Bldg. This space includes one space on the street sign, one on the door to the entrance, and thedoor for this unit. The carpet and paint in the entrance hallway was just recently updated as well as the electric. Monthly condo fees $148.92. 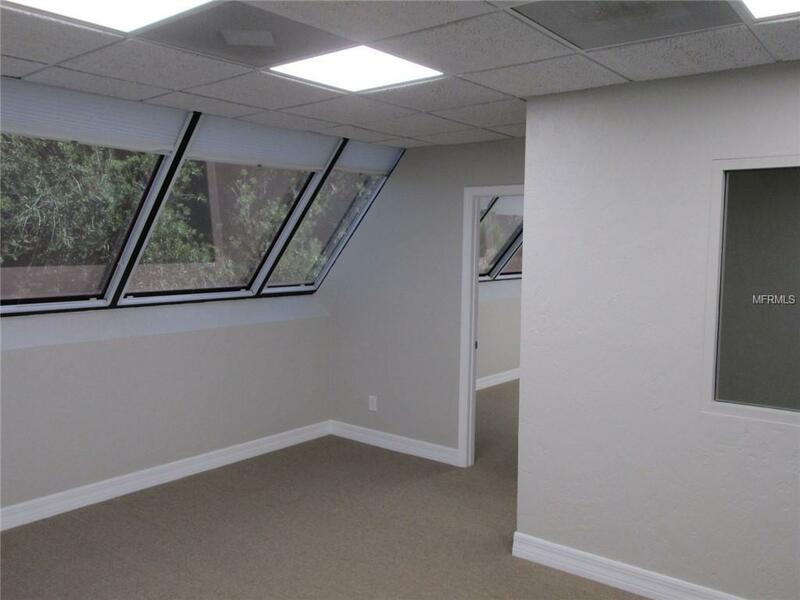 Spacious light and bright office that is ready for occupancy. Located in the Tyrone area of St Pete. Close to malls, shopping, dining, etc. Plenty of parking.